Since our return from Cuba, we have been planning a Cuban-inspired night together as a family. Planning a special night filled with food and activities is a great way to celebrate and extend your vacation. One way to relive a memorable vacation is by planning a dinner with foods that are customarily served in that location. 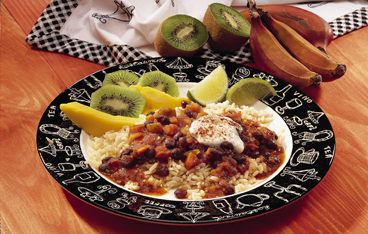 One of the more popular Cuban dishes is Black Beans and Rice. Checking the Life Made Delicious website shows that they have an easy version that can be made fairly quickly. Along with food, you can serve popular drinks, desserts and treats from your trip (remember to pick up an extra bag of something special while on your trip to have after you return home). One of the drinks we enjoyed were Mojitos and these are also pretty easy to make. Life Made Delicious has a great Mojito Slush recipe that will come in handy in the summer time. When remembering your vacation, make sure you take the time to sit together after dinner and look over your pictures and home videos of the vacation. Some times just putting aside some family time to remember the fun is a nice break in and of itself. Take time to talk as a family about where you want to go next. It might not be next year, or the year after that, but have everyone toss in an idea and talk about how you can get there. If as a family, you plan together, you can show your kids how important it is to work and save for vacations. Kids will benefit more in the long run if they see a little more of the planning versus just waking up one morning and being told that they are going on vacation in a week.